11) CYC Beach – I believe this stands for Coron Youth Club. It is the only public beach (and free!) in the vicinity. It was a good place to stay into. 12) Siete Pecados – Siete Pecados is a good place to snorkle & swim with the multi-colored fish of different sizes and shapes. This is a marine park, and it is protected. Unfortunately, some of the corals have been destroyed. The cool and arid clime of Mt. Batulao is a pleasant escape from the tropics. The moment you alight from the Crow bus at Evercrest Golf Course – the jumpoff – you will feel the same coolness felt by the visitors of Tagaytay. And this temperature will be with you all the way. 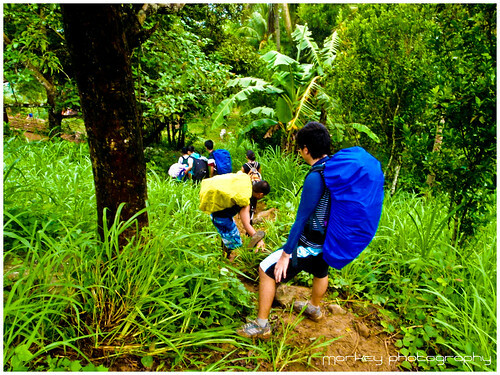 Batulao is the only mountain in the region where you can wear jackets at high noon. You have to. There is no tree cover throughout the climb. 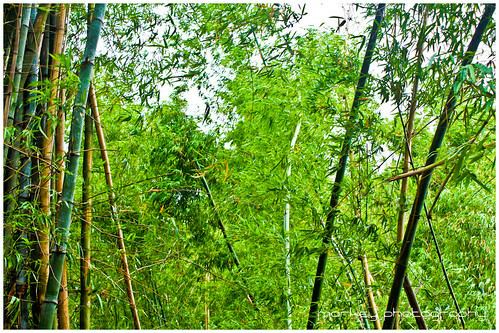 On sunny days, this paradoxical blending of heat and cold, on dramatic, sometimes steep landscapes, with forceful winds that make the cogon grass dance, forming beautiful waveforms across the slopes, earns for Batulao the distinction of being the most spectacular of the mountains in Batangas. Even its name draws from a spectacular origin. Every yearend, the sun sets right between Batulao’s two peaks, creating an image of rocks surrounding a disc of red light. In Tagalog, this phenomenon of “Bato sa Ilao” (Illuminated Rocks) became abbreviated to “Batulao”. 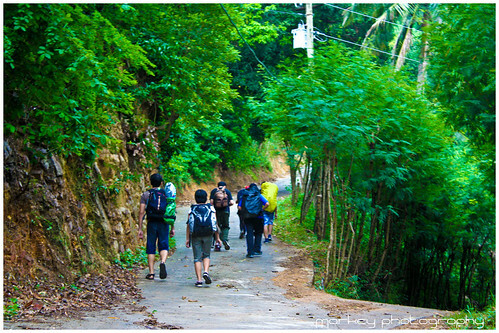 Although this happens only in the last week of December, Batulao’s charms throughout the year are more than enough to make it among the favored mountaineering destinations. Access to the mountain is easy; just take the Nasugbu-bound buses from EDSA cor. Taft. The trails are initially rough roads, then transition to paths that are well-maintained, taking you up and down, up and down, at first gently, and then the slopes will be more pronounced later. After around forty minutes of trekking, you will encounter a hut, fondly called ‘Mini Stop’ where buco juice is sold for P20 each. 500 meters beyond this hut is the fork between the two trails to Mt. 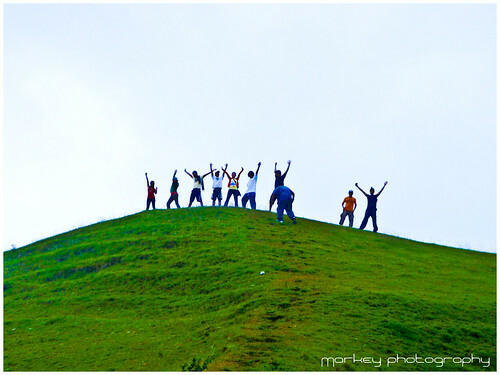 Batulao’s summit. During the cool months of December-February, jackets or long-sleeved shirts have a dual purpose in Batulao: they protect you from the chilly morning temperature, and shield you from the sun’s UV rays. Avoid garments that easily stain with dust, for Batulao is arid. During the rainy season, however, Batulao also gets humid, so wear clothes according to your comfort. Also, during rainy days, the portions of the trails could be severely muddy — preparing accordingly. In all seasons, however, long-sleeved clothing is still advised. For the old trail, some would advice wearing gloves during the final ascent to Batulao’s peak, but it would depend on the hiker’s grip and convenience. For the new trail, gloves are not needed nor recommended. Boy guides, aged 8-17, wait for mountaineers by the highway; you can secure their services for a range of prices but PinoyMountaineer.com recommends P300/day. Don’t worry much about the ‘child labor’ aspect as these kids are able to go to school on weekdays; they do the guiding on weekends as their part-time job. You can save time by taking a tricycle from the highway to the end of the road – about a 20-minute trip that costs P100/tricycle ride. You can also get their cellphone number to fetch you on your way back. At the small village that you will pass by foot or trike, you can buy food and water. A local ice cream is also sold. 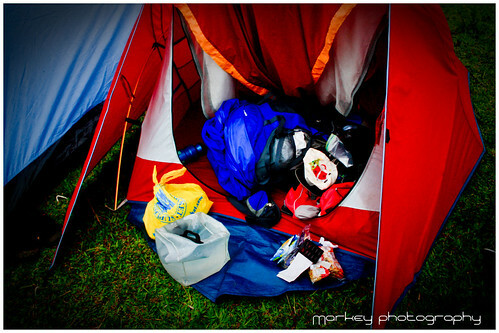 At Camp 1, P20 fee is collected; a similar fee is collected at the New Trail campsite. Take note: If you want to two different trails up and down, you must pay P20 on both sides. 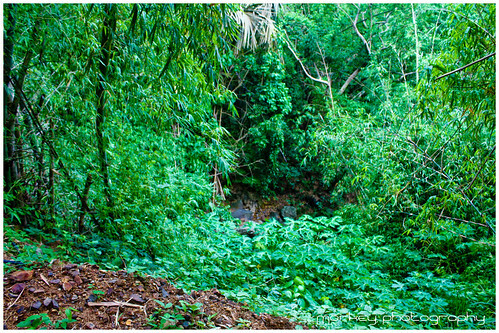 There are no immediately accessible water sources throughout the Batulao trail but guides can access further sources, 30 minutes away for you on either trails. For dayhikes, 1.5-2 L water is advised. Cellphone signal is present throughout the climb. Mount Samat is a mountain in the Town of Pilar, Province of Bataan, Republic of the Philippines that is the site of the Dambana ng Kagitingan or “Shrine of Valor”. Along with the island fortress of Corregidor, Mount Samat was the site of the most vicious battle against the Japanese Imperial Army in 1942 during the Battle of Bataan. Suffering heavy losses against the Japanese all over Luzon, Filipino and American soldiers retreated to Bataan Peninsula to regroup for a last valiant but futile stand. This retreat to Bataan is part of a United States strategy known as War Plan Orange. After fierce battle lasting 3 days, 78,000 exhausted, sick and starving men under Major General Edward P. King surrendered to the Japanese on April 9, 1942. It was, and still is, the single largest surrender of U.S. and Philippine Forces ever. These forces were then led on the Bataan Death March. The mountain is now a war memorial. A huge white cross stands as a mute but eloquent reminder of the men who died there. The Memorial Cross is a towering structure made of concrete, steel and marble. It is 92 meters high and the arms’ length is 15 meter on each side. It is 555 meters above sea level. An elevator goes up to the arms of the cross where the viewing galleries are found. The exterior finish of the cross at the base up to an 11-meter level is capped with “Nabiag Nga Bato” sculptural bas relief’s depicting significant battles and historical events. It also acts as a tourist attraction with a war museum nearby that has a wide array of displays from paintings of the Philippine heroes to armaments used by the American, Filipino and Japanese forces during the heat of the battle. 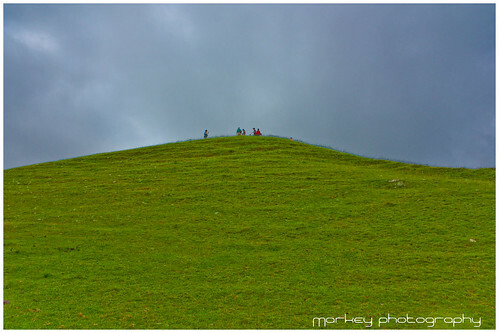 Gulugod-Baboy is the general term that describes the hills that traverse Calumpan Peninsula. Located in Southern Batangas, the peninsula is more known for the diving resorts of Anilao – the birthplace of Philippine scuba diving. Since dive enthusiasts are also enthusiasts for anything ‘outdoor’, they began exploring the hills, and soon, Gulugod Baboy became a hiking destination on its right, although today it remains a popular sidetrip to a diving escapade to Anilao, or to the nearby Sombrero or Maricaban islands. There is confusion regarding where the real “Gulugod-Baboy” is. From SE to NW (from Brgy. San Teodoro to Brgy. Laurel), there are three peaks in the range. The first is 470 MASL, the second is 485 MASL, and the third is 525 MASL. 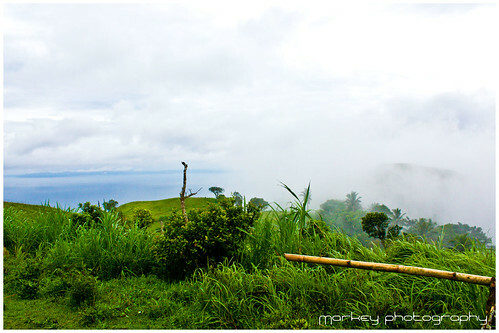 This third has a large, ancient tree as its landmark, and is known to mountaineers as the real Gulugod Baboy. However, locals say that this third peak is actually Mt. Pinagbanderahan, and the first peak is the Gulugod Baboy. Gulugod-Baboy is a playground for adventure: you can refer to the map and ascend/descend to any point in the peninsula using the compass. Most directions have trails; indeed there are many trails in the mountain which is both an advantage and a disadvantage. At its peaks, you can see, from east to west: Janao Bay, Maricaban strait which bears Sombrero and Maricaban islands, a distant, faint blue Mindoro, Verde Island (SW) and Batangas Bay. The city and port of Batangas is visible on the west, following a farther Mt. Daguldul. To the north is Mt. Maculot, and even Mt. Batulao and the Tagaytay highlands. Gulugod-Baboy means “pig’s spine”, so named because of the contours of the hills. “Gulod”, however, means hill; “pig’s hill” can also depict the pastoral scene of the mountain. You would normal encounter cows, goats, and in the past, pigs, as you trek through the mountain. For its part, Pinagbanderahan has a historical background. It can be translated, “Where the flag was hoisted”, and it commemorates the crash landing of the Japanese in early 1942. In the heat of World War II, Japanese airmen had a mishap and crash landed in the slopes of Gulugod-Baboy. To celebrate their survival, they planted a flag in the summit. Since then, locals called it “Pinagbanderahan”. As you trek through Gulugod-Baboy you will be passing by private property; make sure you observe proper courtesy. Also, there are dogs on the loose and cows in some parts so be careful.